Utilising features within Moodle can help create more interactive and engaging courses. Quizzes in Moodle can range from providing a quick fun learning experience, through to fully marked formative assessment. The Quiz activity consists of a large variety of question types, including multiple choice, matching, short-answer and numerical. These questions are kept in the 'question bank' and can be reused in different quizzes. Choose of how questions behave. It can be like a classic test, where the student gets no feedback while attempting the test, only later. Moodle can reveal the feedback to the student during the quiz. eSubmission is the process of submitting assignments electronically. 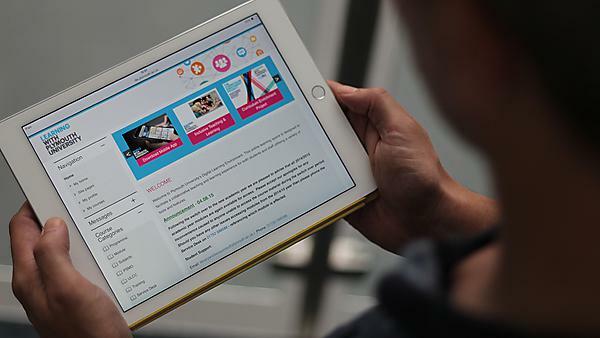 In the Digital Learning Environment (DLE) students can submit a digital copy of their work which can then be reviewed and graded by academics in one central place. Download our 'Summative eAssessment' guide. Chat tools or Instant messaging may often be thought of more as an annoyance when teaching than as a useful tool. However, used with care, they can provide real-time interaction, communication and collaboration between your students, wherever they are; both during teaching time and in their personal learning time. There is no doubt that effective use of the Chat tool requires precise organisation, an established need for it and a captive audience, so works best when students are already gathered for an in-class event or for a synchronous online learning event such as a webinar. The wiki activity enables participants to add and edit a collection of web pages, embedding a variety of media. A wiki can be collaborative with everyone or members of a group being able to edit it. Alternatively, personal where each student has their own wiki that only they can edit. A history of previous versions of each page in the wiki is kept, listing the edits made by each participant. This can be useful for assessing each individual's contribution to a group project. Moodle is a learning platform used to deliver course content and provide online activities for students. Moodle is the core of the Digital Learning Environment (DLE). Explore the various tools within Moodle and utilise these features to create more interactive and engaging courses.